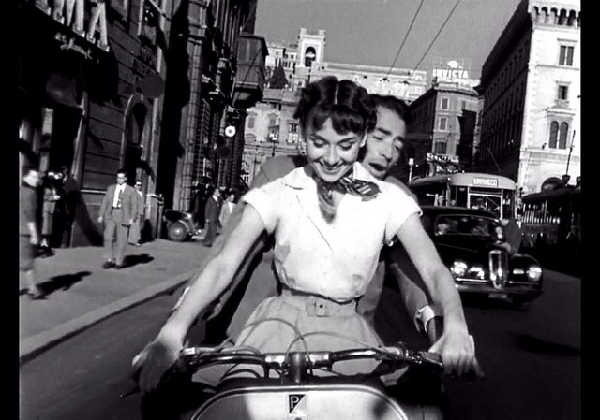 Audrey Hepburn and Gregory Peck in 'Roman Holiday,' a classic vacation movie. Vacation movies may show off some of the world’s most beautiful scenery, but the most compelling films are the ones that show characters another side of themselves. Take a protagonist out of her usual environment and anything can happen. Host Frank Stasio talks with Laura Boyes, film curator at the North Carolina Museum of Art, and Marsha Gordon, film professor at North Carolina State University about listeners favorite vacation themed movies. Connections are forged and lost, romances kindled and extinguished and relationships tested and broken. Then again, some vacation movies take themselves much less seriously. They offer a comedic or nostalgic take on a family beach trip or camping excursion and remind viewers of the simple pleasures and quirks of time spent away. Host Frank Stasio talks with Laura Boyes, film curator at the North Carolina Museum of Art, and Marsha Gordon, film professor at North Carolina State University, about listener’s picks for the best vacation movies. Note: This program originally aired on August 9, 2017.